Piano only this time, as 29/03 it is International Piano Day, an initiative started by Nils Frahm. Following a mystical experience in 1994, Lawalrée’s work took a turn for the liturgical, embracing a formerly latent spirituality in the form of religious concert music written until 2016. 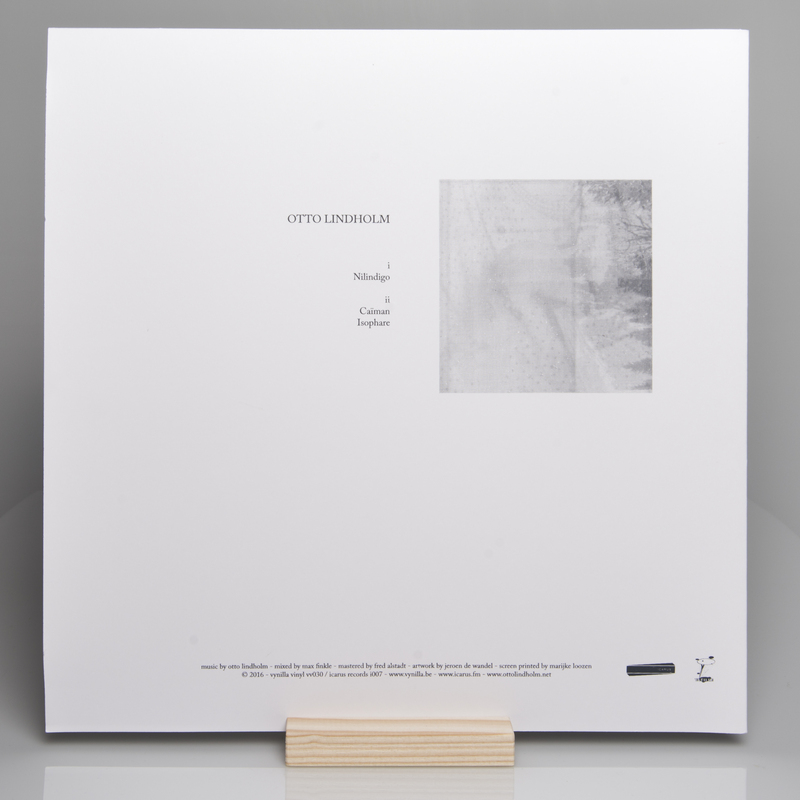 Although Eno once expressed interest in publishing Lawalrée’s recordings on his legendary Obscure Records, dissemination of Lawalrée’s output has until recently remained limited, its reception as personal as the work itself. In 2017, a selection of his music was compiled on 'First Meeting', Lawalrée’s first stateside release compiling recordings from the Editions Walrus years. 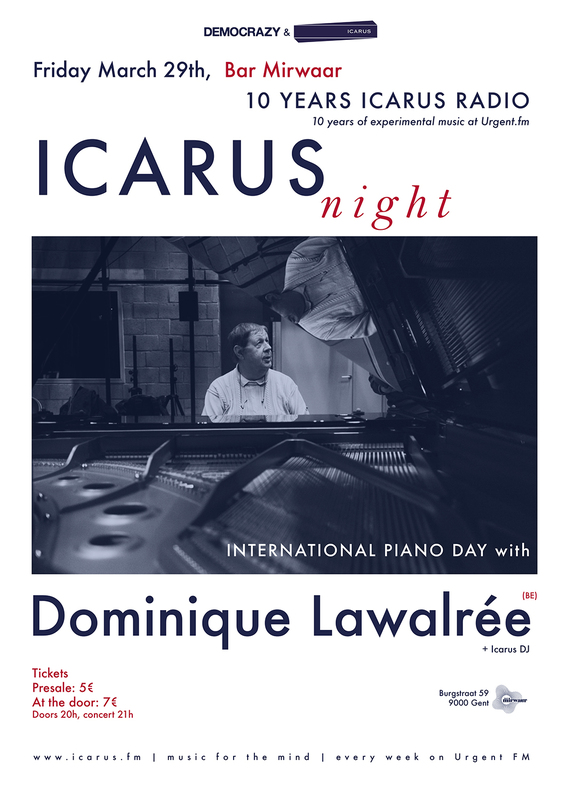 Last year, Dominique played a Icarus Session in cooperation with IPEM, you can listen to it here. There’s a beautiful nuance of consonance to his music that tantalises the ear with its warbling harmonic complexity and elegant pacing, yet it’s never challenging; always with a careful pop-ness that points to his equal appreciation of Satie, Feldman and Stockhausen as much as The Beatles or Led Zeppelin, the latter of whom he’s currently working on a series of books analysing their music second-by-second, and has led him to meetings with The Beatles’ engineer, Geoff Emerick, where he pointed out mistakes in the classic recordings which nobody else has ever noticed. Aaron & Erik have been fans of each other’s work for many years. From Erik's work as Svarte Greiner, and with the groups Deaf Center and B/B/S, to Aaron's work with Volcano The Bear, Gospel Of Mars and his duo with Alan Courtis. They have created a large and eclectic body of work between them. Their duo album 'Instead of Rain I Bring a Hat' (Hands in the Dark 2018) sounds unique amongst their output. It brings together vast amounts of instruments and techniques to form a surreal and melancholic piece of work. The record was conceived after over 6 years of back and forth, mailing sound clips and compositions while they were working on compiling the massive Volcano The Bear’s 20 year anniversary box set “Commencing” that came out on Erik´s Miasmah label in 2015. In a live setting they improvise around numerous known and unknown sound sources. Aaron plays percussion, tapes, trumpet and voice and occasionally uses strange instruments to interact with the audience. 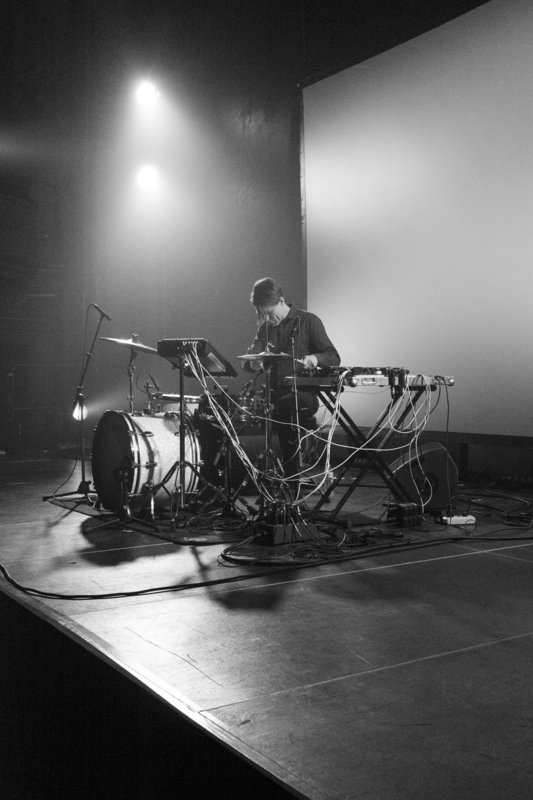 Erik plays with sound collages, drones, electronics and feedback. For their 2019´s winter tour they have also produced a limited edition cassette release entitled "Hovering Mink", which is a collage of improvisations recorded in Berlin 2016, made into it´s own multi-section piece. Upcoming sessions: Bow , Bruno C.
Tune in every Sunday, Urgent.fm 105.3FM, 21h! Our radioshow celebrated its 10th birthday and we celebrated this 08/03/18 at NTGent in coop. with Democrazy! We were so happy with our line-up: Andrea Belfi, Greg Fox and Dictaphone! 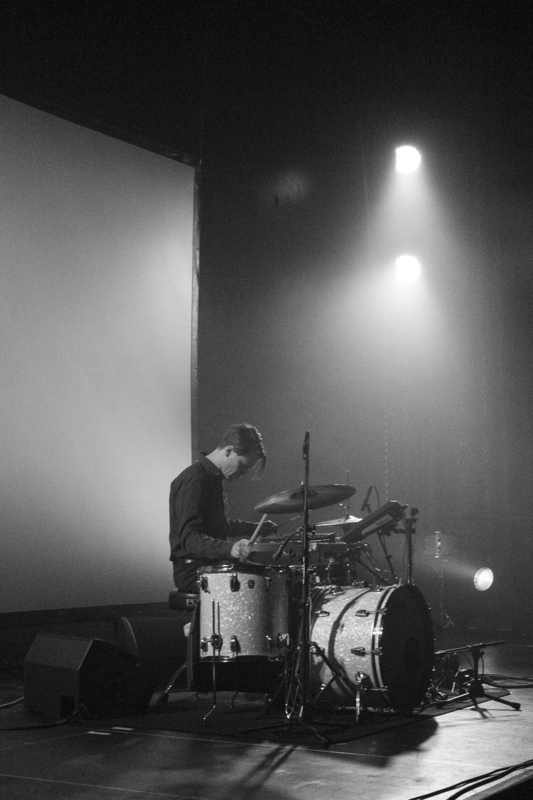 Italian-born Andrea Belfi is a drummer, composer and experimental musician. Artfully blending the acoustic with the electronic, his performances are equal parts energetic and hypnotic, featuring long-arching soundscapes that are rich and immersive. A live performer at heart, Belfi’s music comes to life on stage where he’s built a reputation for electrifying drum solos and off the cuff improvisations. 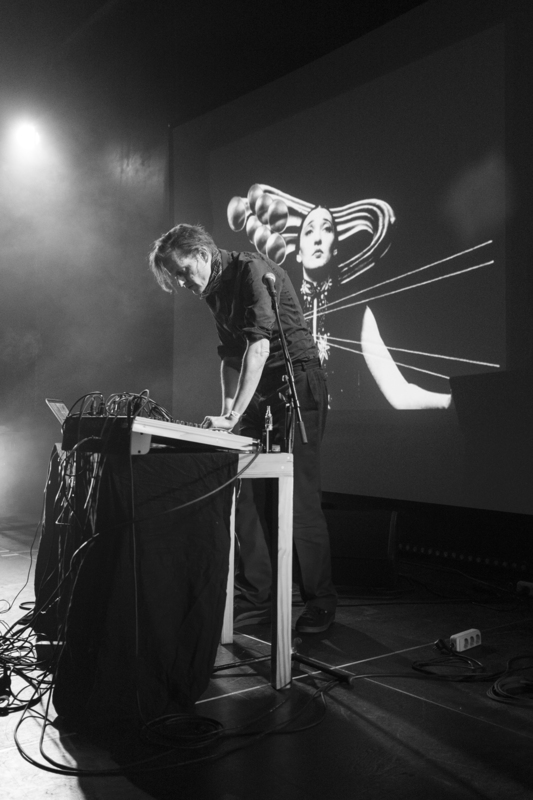 Having performed at the likes of Centre Pompidou (Paris), Unsound Festival (Krakow), Cafè Oto (London), Issue Project Room (New York), GAS festival (Göteborg) and Artplay (Moscow), Belfi’s become known for his charismatic and engaging performances. 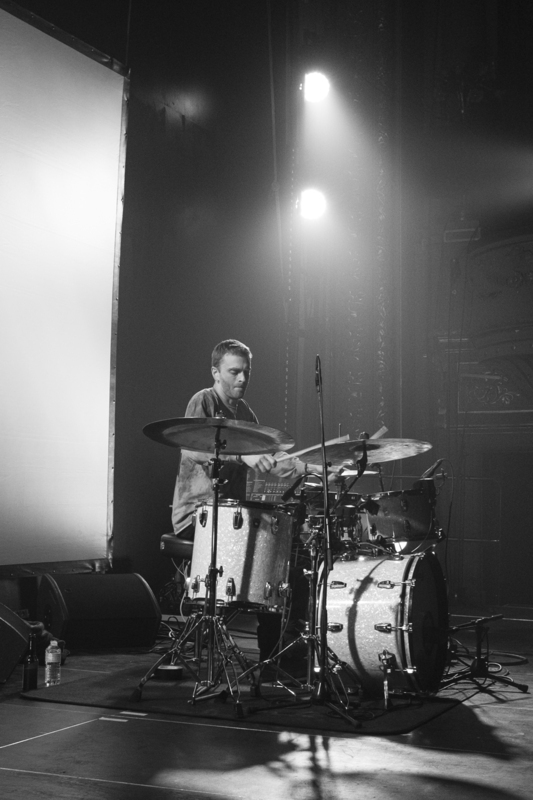 His extensive experience includes both solo and group tours across Europe, notably touring with Nils Frahm’s band nonkeen in 2016. His latest and critically acclaimed studio album called Ore came out in 2017. He made us a mixtape, listen to it here. Greg Fox is a multi-instrumentalist, interdisciplinary artist, and teacher born and based in New York City. 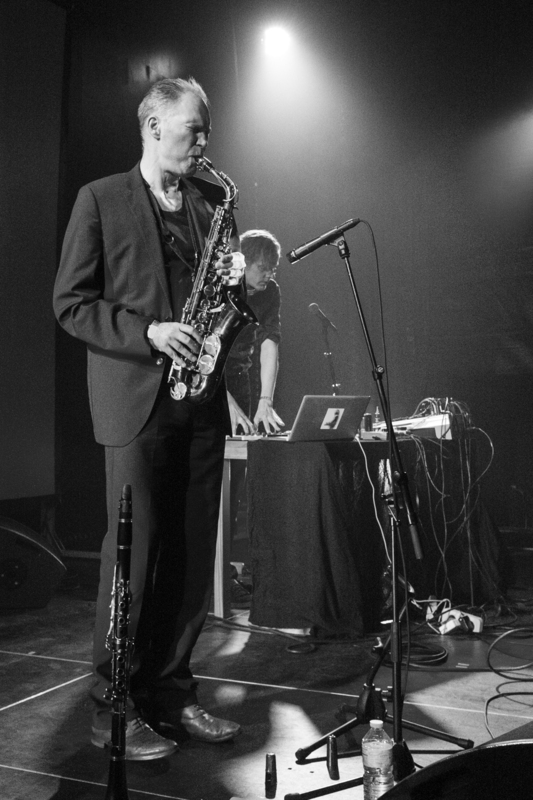 He has toured, recorded and released numerous records with Liturgy, Guardian Alien, ZS, Ex Eye, Skeletons, Teeth Mountain, Dan Deacon, Colin Stetson and Ben Frost. Fox’s solo work is concerned with finding and creating gestural points of procedural interaction that reconcile seemingly unrelated interstitial spaces, using sound to create and describe emotional and geometric architectural territories. 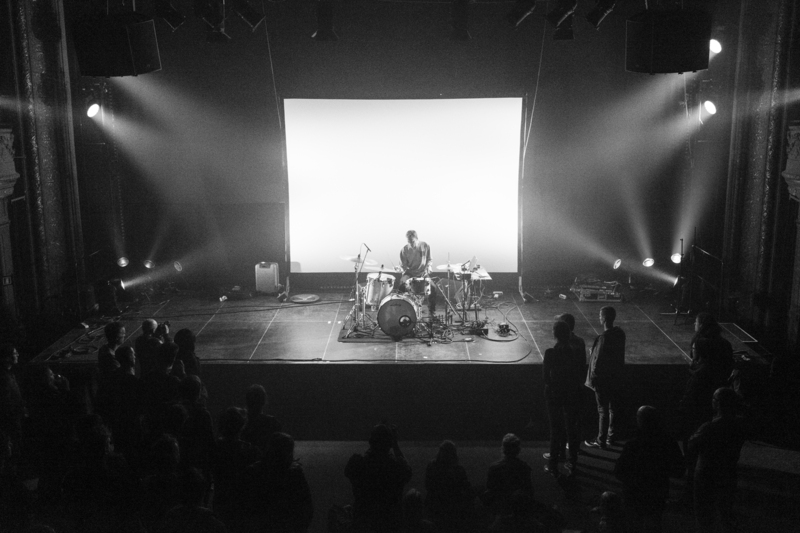 Using the drums as a main interface of communication, in tandem with Sensory Percussion, Fox describes, animates and accesses hidden synesthetic landscapes. The Gradual Progression (2017), his most recent album, is a transformative collection of new music by Greg Fox. The seven pieces of The Gradual Progression activate spiritual states through physical means, Fox’s rigorous inner rhythms the mandalic vessel for unbound expression and arrangement. 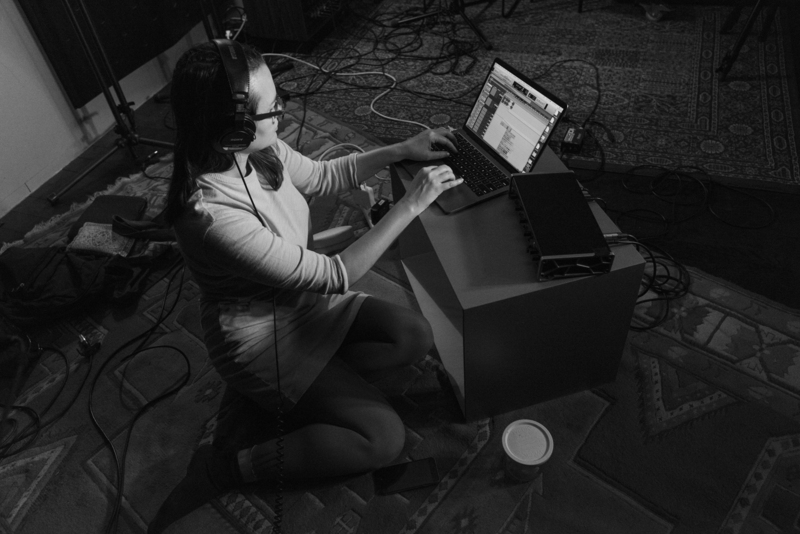 On the album, Fox uses tonal palettes, or virtual instruments invented for each piece, in an intuitive and expressive way through Sensory Percussion’s hardware/software system that overlays sensors onto acoustic drums. 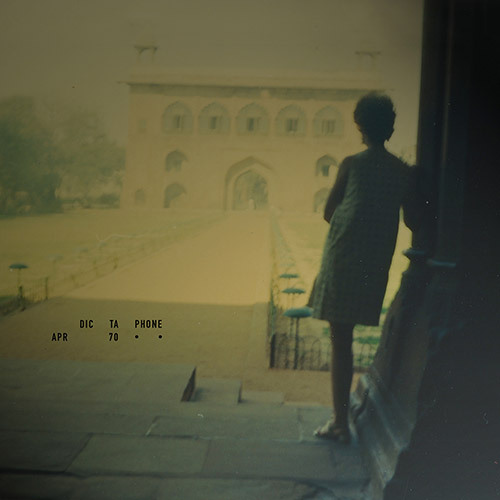 Dictaphone, already formed in the late nineties in Berlin is back with a new album after five years of silence. incarnation, maybe even definition, of purity. We are looking for experimental/electronica artists who want to release their album on vinyl. Do you think your music would be suitable for our label? Please send us a copy to Bromeliastraat 13, 9040 Gent, Belgium or send it digitally to jeroen(at)icarus(dot)fm. Limited release, edition of 220-black vinyl only. Double bass player and electronic producer Otto Lindholm comes to light with his project and debut LP simply called ‘Otto Lindholm’, set for release on Icarus Records | Vynilla Vinyl in May 2016. The debut-album by Otto Lindholm is released on a limited vinyl edition by Vynilla Vinyl/Icarus Records, mastered by Frederic Alstadt. 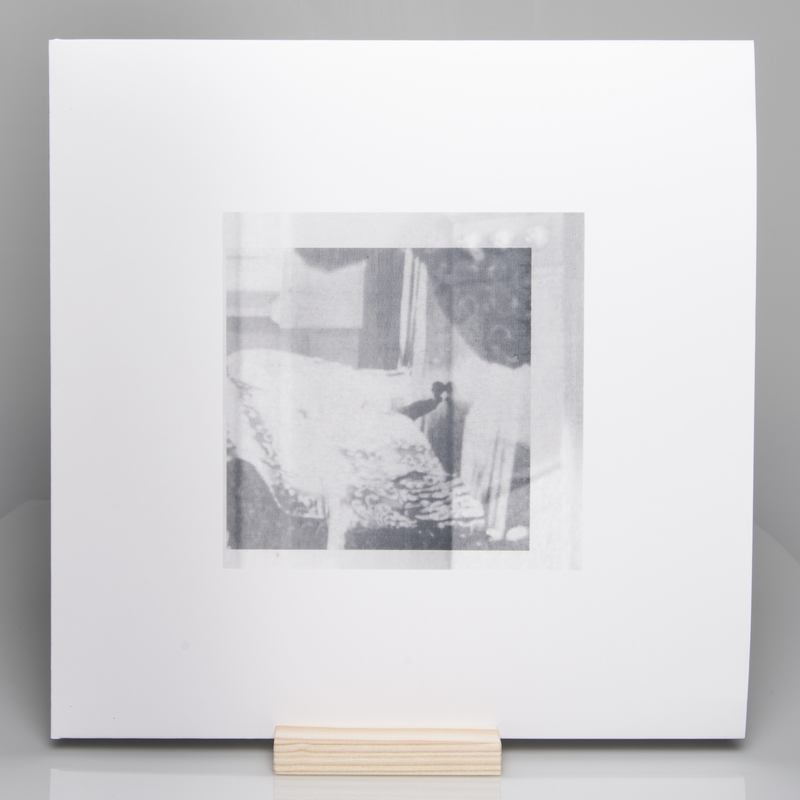 Photographer Jeroen De Wandel designed the record sleeve, resulting in a beautiful silkscreen by Marijke Loozen. Our radioshow grows with an hour. We will broadcast one extra hour on Urgent.fm, so now you can listen every Sunday from 21 till 23h via streaming or near Ghent at 105.4 FM! This season we will have some guest musicians who 'll make us mixtapes every two months. Coming up in the next few months: Kevin Verwijmeren. We celebrated our 300th episode with a mix of our favourite tracks. Icarus Album Of The Month. This month's album is the album Velcro Bird by Leverton Fox. 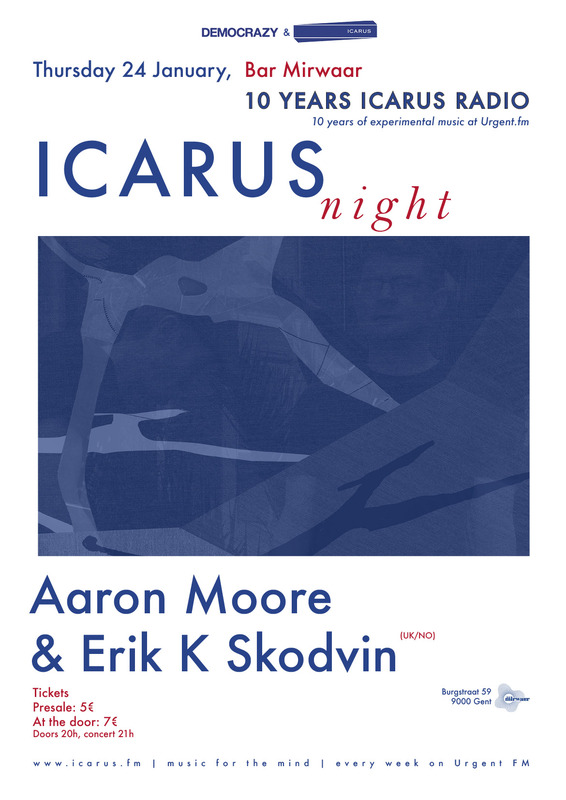 Tune in next Sunday night at 21:00 at Urgent FM, 105.3 or next Tuesday night at 00h at Youfm, or listen live to the webradio, for a new episode of Icarus. Every Sunday night at Urgent FM 105.3 (Gent) or Tuesday night at 106.9 You FM (Mons). Icarus now also on mixcloud.Follow us! We created a Souncloud group, where we post our weekly podcasts. Become a member, click here. Tweet, tweet, tweet. Click here.